Master’s Degree in relevant subject with at least 55% with relevant experience. For more information regarding qualification refer notification. For post 23-45 years as on last date for receipt of application. Age relaxation is applicable up to 5 years for SC/ ST/ Central Government employees, 3 years for OBC, 10 years for PH candidates, 15 years for PH (SC/ ST) and 13 years for PH (OBC) & for Ex-Servicemen & others as per rules. Payment of application fee can made through branch of the SBI by cash or by using net banking facility of the SBI or by using visa/ master credit/ debit card. How to apply: Eligible applicant require to apply online through Union Public Service Commission website www.upsconline.nic.in from 10.09.2015 by 23:59 Hrs. and take the printout of online application on or before 11.09.2015 by 23:59 Hrs. 1. 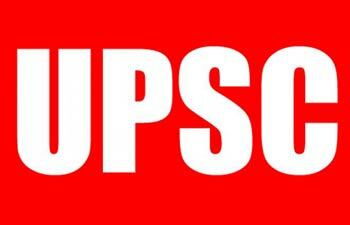 Log on to the Union Public Service Commission website www.upsconline.nic.in. 6. Make the payment by online or SBI by cash or by using net banking facility of the SBI or by using visa/ master credit/ debit card. Last Date to Apply Online: 10.09.2015 by 23:59 Hrs. Last Date to take Printout of Application: 11.09.2015 by 23:59 Hrs.